Panelized fencing requires no drilling. 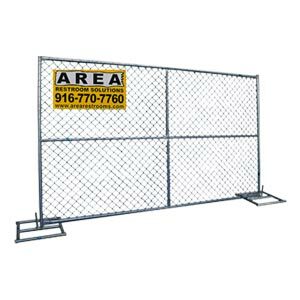 It has rugged and durable metal feet (bases) for fence panel stands. Metal feet (bases) can be painted bright orange for additional safety measures. 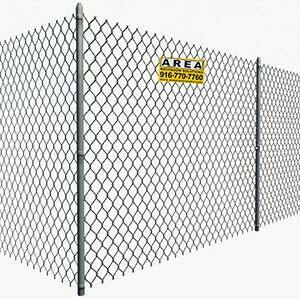 Temporary fence panels are maintained for professional appearance and quality. 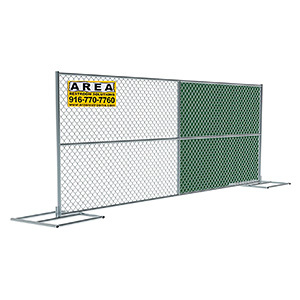 In-ground fencing provides superior wind stability, difficult to move, providing added security and ideal for long term fencing projects to avoid multiple trips to re-set fencing. 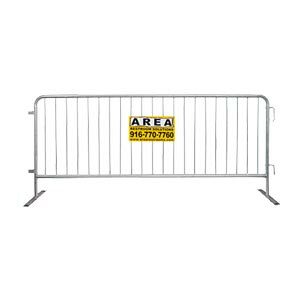 Additional wind support bracing and customized gates available as additional option.